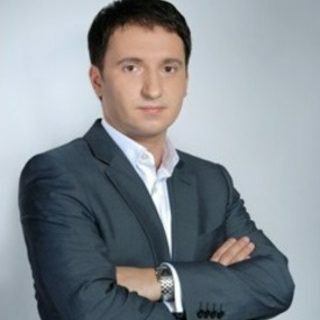 For over fifteen years Mr. Peremezhko has been practising law in international and domestic litigation, real estate and intellectual property matters. Alexander Peremezhko has extensive experience in handling complex legal cases, providing legal opinions on matters related to considerable investment and real estate transactions. Among the latest achievements of law Peremezhko is a successful representation of Ukrainian and foreign investors at the Arbitration Institute of the Stockholm Chamber of Commerce (Kingdom of Sweden). Alexander Peremezhko also represents clients at the European Court of Human Rights. Another strength of Alexander Peremezhko is his unique expertise in the energy sector. Alexander Peremezhko has provided legal support during the production of petroleum products, set-up of a chain of gasoline stations, and being a co-author of the draft of the Law of Ukraine On Legal Regime of Land Allocated for the Protected Zones of Pipelines. Koretsky Institute of State and Law of National Academy of Sciences of Ukraine (2012) Postgraduate, Major in Management Theory, Administrative Law and Administrative litigation, Finance law, Data Protection Law. National University Yaroslav the Wise Law Academy of Ukraine (1998). Specialist of Law (Honours).